This technique is effective when used by a Certified therapist. 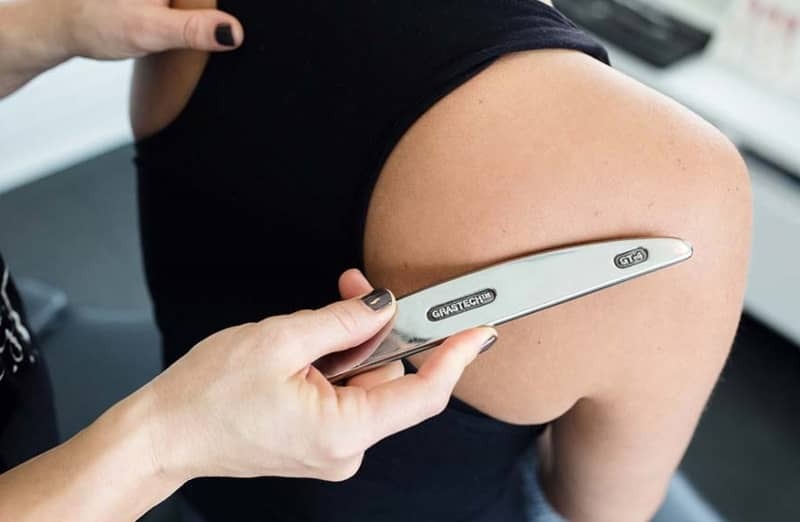 Graston Technique is a specialized soft tissue manual therapy, utilizing stainless steel tools by a physician who has undergone specialized training to administer this specific technique. The Graston technique specifically address soft tissue lesions and fascia adhesions. These lesions and adhesions can cause pain, a decrease in rage of motion, decrease in sensory motor firing, and functional deficiencies. When this technique is combined with specific chiropractic care and adjustments, as well as appropriate therapeutic exercises; the patient experiences a reduction in pain, improved function, and overall increase in enjoyment activities of daily living.